Whether your goal is to start a family or to start a business, one thing is for sure: You’re going to want that goal to be a successful one. And, of course, with success, you can expect one thing above all else: growth, and lots of it! While this growth is certainly good news for your family and your business, it’s not quite so good for something else: your service panel. Just what is a service panel? Why, it’s the component in a building that connects the electrical wires from the street to a building, thus allowing the transfer of electricity that allows you to use your many electronics. And just how does growth affect a service panel? YOUR SERVICE PANEL CAN BECOME OVERWORKED -- AND OVERLOADED! 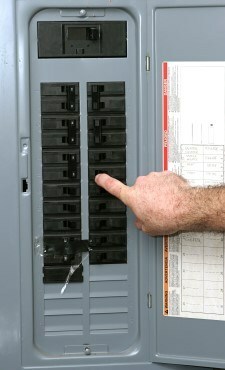 Not all service panels are made the same with regard to their capacity to power a building. A service panel that is suited to satisfy your needs with one or two kids or a relatively small business might not be suited to do so after your family or business success has boomed and grown. Thus, you can begin to experience issues with your service panel. These issues can range from the frustrating (shortages and the like) to the downright DANGEROUS (sparks and even FIRES!). Whatever the issue, they can certainly spell bad news for you and your familial or financial ventures. So, just what can you do in that case? Try to economize how your family or business uses electricity to contour to what your service panel is designed to handle? If your old service panel can no longer handle the demands that your growing family or business subjects it to, then you can simply have that panel upgraded to a larger one that is better equipped to handle your electrical needs. With a service panel upgrade, you’ll be able to use more electronics more often and more concurrently than you would be able to with your old one. Thus, your family and your business will remain as efficient and, more so, as protected as can be from potential electrical hazards! If you are in the market for a service panel upgrade, then be sure to have yours handled by the local San Antonio electrical pros at John Jones Electric! With over thirty years of experience, we at John Jones Electric can provide you with a quality service panel upgrade at a great price in no time flat!